The system uses a process called inductive charging. Electricity passes through wire coils in the road plates, generating a magnetic field. This field induces a voltage across coils in the bus plates and the vehicle's batteries are charged. 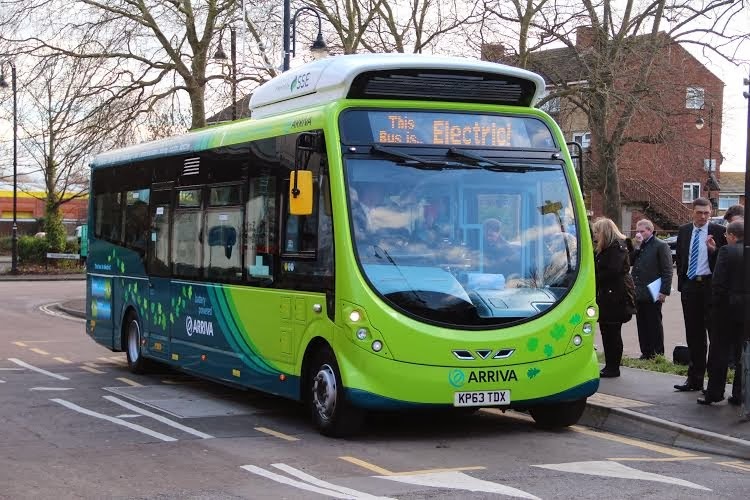 "Electric buses have huge potential and we're exploring how they can help us take better care of the environment without compromising passenger service," said John Bint of Milton Keynes Council. "With the help of the project collaborators, we'll be monitoring the buses closely over the next five years." 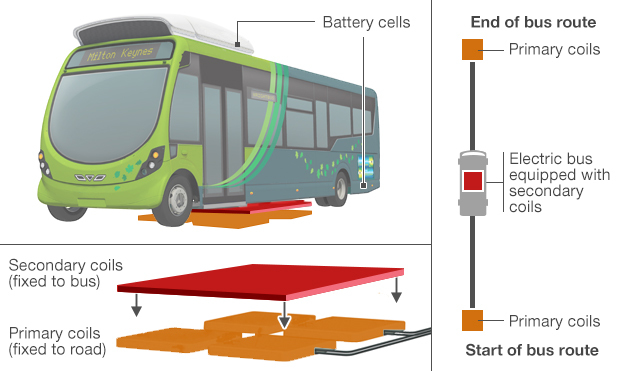 John Miles, an Arup consultant and engineering research professor at Cambridge University, said: "These electric buses will be expected to do everything a diesel bus does. 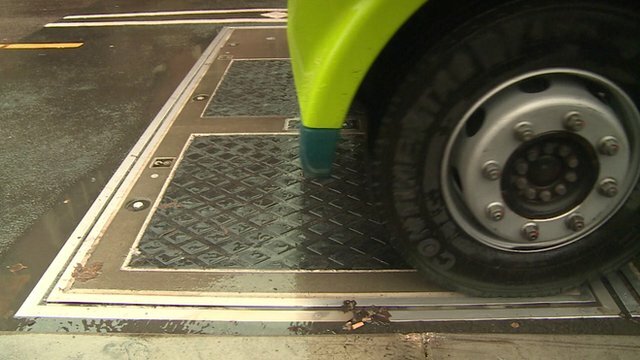 "They will be operating on a demanding urban route, and that's all part of the trial's aim - to prove that electric buses can be tough as well as green."